When the publicity team for How to Have a Great Life got in touch to see if I would like to review it, I knew I would say yes. I’m all for finding tips and tricks for my life and the promise of ‘ suprisingly simple ways to success, fulfillment and happiness’ lured me right in. It also seems particularly fitting since I am in the midst of prepping for a new job. It’s probably one of the biggest challenges I’ve done yet, especially since it involves studying for a work-related qualification in the evenings. I’ve been putting a lot of thought into how I’m going to be able to balance it all and make the most out of the opportunity. This book is full of advice for doing just that. Where this book excels is in simple insights which remind you of what is important. Some of it is stuff I already knew but had probably forgotten, while others were things that I really should have figured out but hadn’t quite managed to by myself. This book isn’t about radical acts to change your life but the small shifts, usually in mindset, that can help you out. If you’re looking for something revolutionary, this isn’t the book for you. However, if you want a book full of sensible – and useful – advice, pick this up. It’s like a friend sitting you down and talking some sense into you. The chapters cover a variety of topics but my favourites were on fear, worry and wallowing. It is probably very telling that I can already tell that these are the chapters I know that I’ll be coming back to now and again. 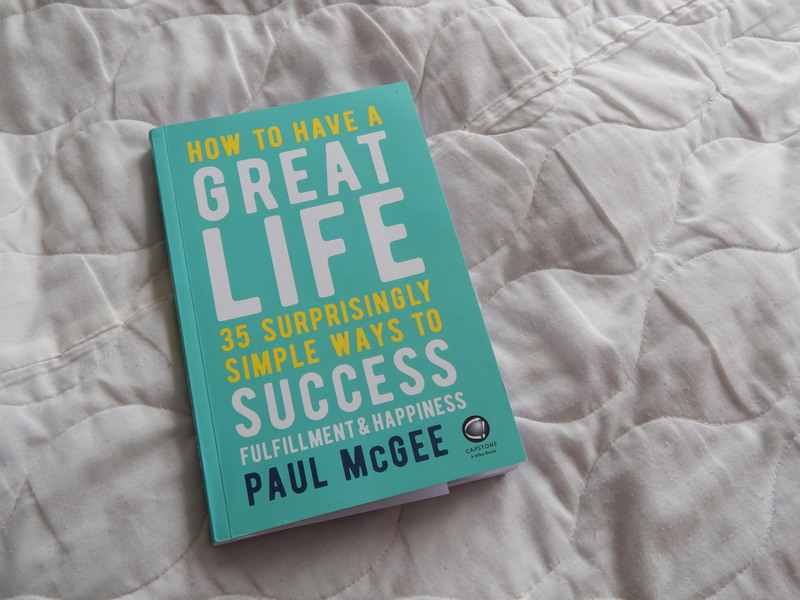 How to Have a Great Life is designed to be dipped in and out of when you need it, with every chapter packed full of insights you might need after a hard or challenging day. I’ll be keeping my copy close at hand, just in case I need to remind myself of the things I learnt from reading this book the first time around. P.S I was sent a copy of this book in exchange for my opinion but that in no way means that this isn’t an honest review! I love when a book comes along just at the right time in life! This sounds perfect, definitely adding it to my list of books to pick up. Exactly what I need for starting my last year at uni!